Pets in Harmony Pet Salon opened in March 2017. Patricia Cox worked closely with owner/veterinarian Dr. Brian Silvis to build a partnership that provides complete pet care services at one location. When designing the salon, we put much thought and care into not only creating a clean, well-equipped grooming salon, but also a safe, pet-friendly place to maximize comfort and minimize stress. 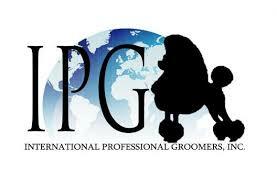 Striving for excellence for our clients' pets, we contacted the International Professional Groomers (IPG). IPG's Salon Approval Program recognizes Premiere Grooming Salons around the world that present a professional image and service, with special value for the safety of its pets, groomers, and their clients. 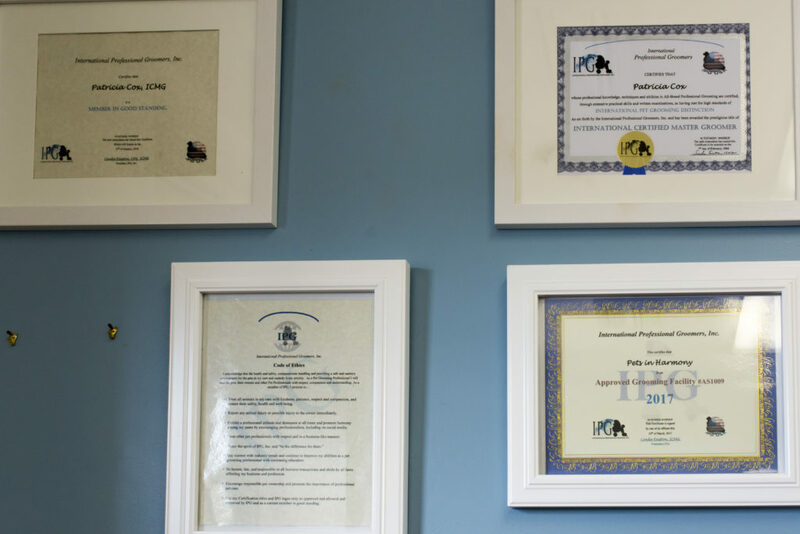 The only Premiere Approved Grooming Facility in PA, our goal is to set ourselves apart from our competition with exceptional skill sets and best practices for a safe and sanitary environment. Click here to view our Standards of Care.